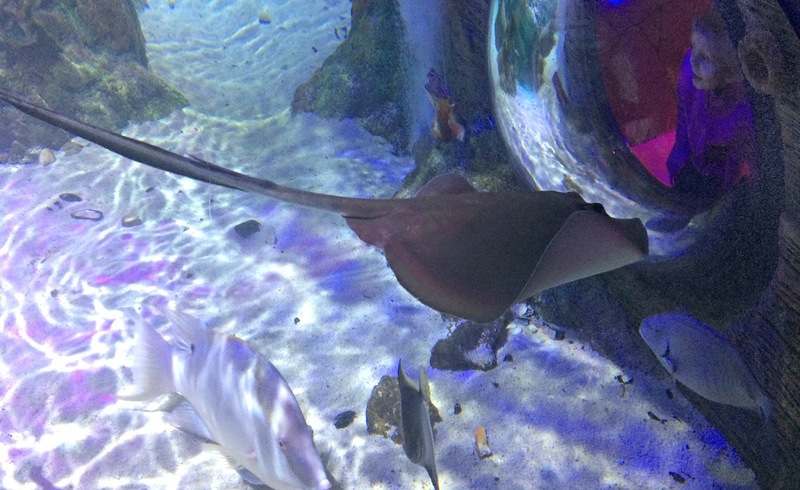 My daughter loves visiting the Michigan SEA LIFE Aquarium. She really enjoys sliding into all the nooks and crannies the place has which provide kids with unique close up views of the fish. Then as soon as we get home she pulls out her National Geographic KiDS Ultimate Ocean-pedia to read more about the oceans and the sea creatures that live in them. Written by Christina Wilsdon, who specializes in writing books for children about natural history and biology, and Rick Keil, a chemical oceanography professor at the University of Washington's School of Oceanography, this 272 page hardcover book is full of wacky facts and amazing photos plus the latest and greatest scientific facts from National Geographic experts. 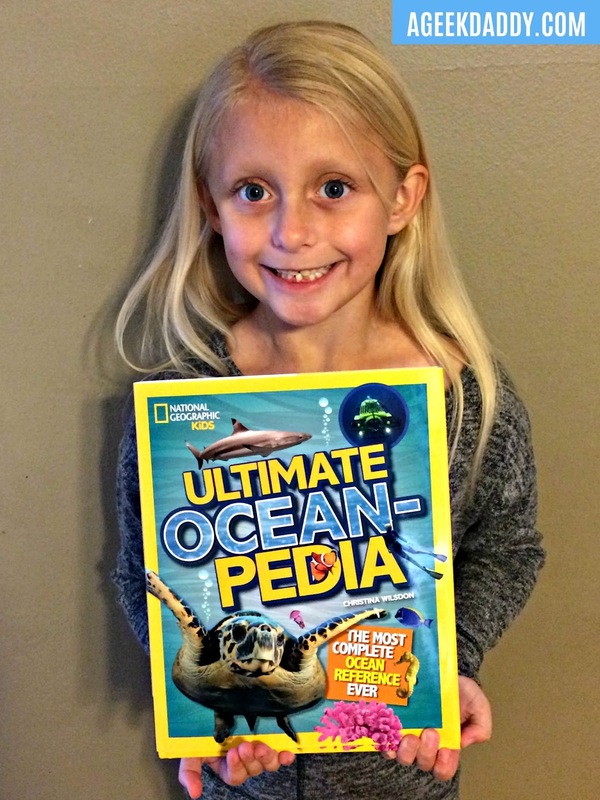 Aimed for children ages 7 to 10 years old, National Geographic KiDs Ultimate Ocean-pedia is laid out to make learning interesting and fun for kids! The incredible photography included in the book will especially draw kids to peruse through its pages. 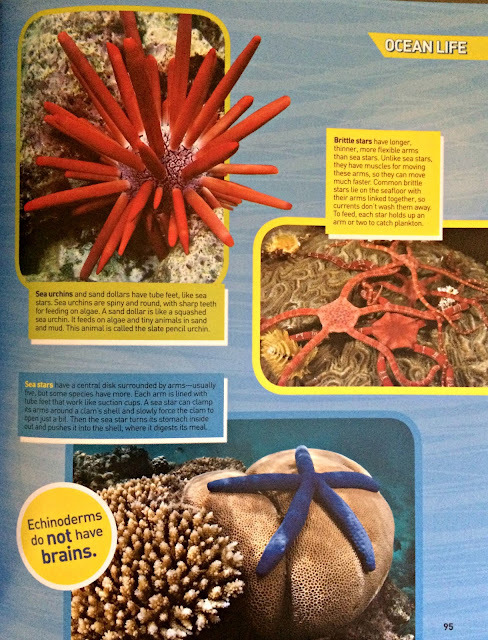 My kids get so excited flipping through the Ultimate Ocean-pedia's pages examining all the photos that brilliantly capture life under the sea. The book features more than 400 colorful photos and illustrations. Of course Nat Geo is known for its wonderful nature photography so you wouldn't expect anything less from a book like this. The book doesn't just provide information about sea life though, it also has a lot of information about a variety of ocean topics ranging from tsunamis to riptides. In addition to discovering information about a variety of creatures that live in the sea, kids will also learn about science and ecology when they read this book. 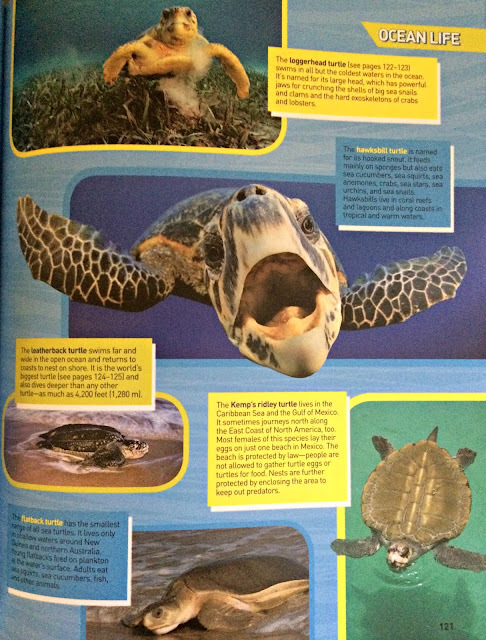 It also features conservation tips challenging kids to help contribute to preserving the health of our planet's oceans. Plus a mini ocean atlas included inside provides a great geography resource for families.